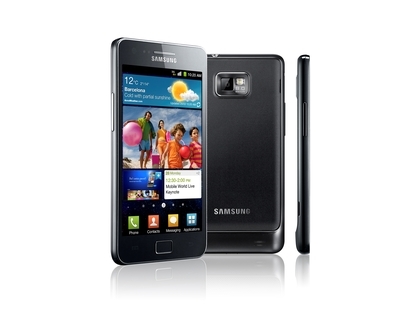 Samsung’s flagship 2011 Android phone received a glowing 5/5 score when we reviewed the Galaxy S2 earlier this year. And it was no surprise – Samsung packed a very powerful and capable processor plus a very nice camera into an unbelievably slim case. Samsung published endless press releases about its ever growing global sales figures, which can only mean one thing. A sequel is guaranteed for 2012. Samsung is yet to make any official announcement regarding the Galaxy S3, mind, but the pieces are falling in to place. Samsung’s processor developments are clear to see, with the company announcing several new Exynos cores during 2011 that could power the new Galaxy S.
The Galaxy S 3 (which we’ve also seen referred to as the Galaxy SIII) is bound to be at least powered by a dual-core processor, but there’s even been rumour of a quad-core chipset in Samsung’s pipeline, which may power the S3. Here’s what else we’ve gathered so far. The mobile phone industry is extremely predictable. The high-spec models for the year are invariably announced and shown off at February’s Mobile World Congress event, with the finished hardware starting to appear on sale at the end of March and into April. Samsung managed to release the S2 right at the beginning of April in 2011, so it’s bound to want to repeat the winning formula and release the S3 at the same time in 2012. If you’re due an upgrade next April, the S3 ought to be ready and waiting for you. The Galaxy S 2 took many months to appear in the US, as Samsung rearranged the design and changed features to please the US networks and their customers. Given that the S2 is therefore still quite “new” to America, we’d expect the S3′s American launch to be several months after the UK arrival once again. Mobile hardware launches are one of the few areas where the UK leads the world. Obviously we don’t have pricing details for an unannounced phone, so all we can do is speculate. 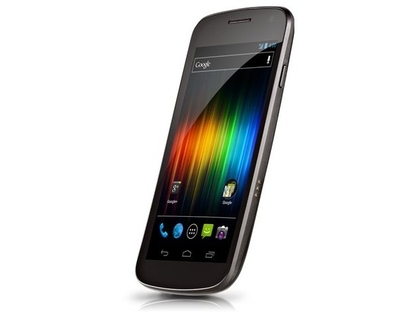 Given the recent launch of the Galaxy Nexus, which sold for an enormous £520 around its launch and for the following few weeks and was available on contracts starting at £36, that’s the high-end level we expect of the S 3. In fact, given the success of the S2 (pictured below), we could even see it set new highs for Android phone prices, as Samsung fans clamour for what will surely be one of 2012′s must-have mobiles. Back in November, details of a next-gen Samsung Exynos 4412 chipset were uncovered, describing it as a quad-core unit said to be clocked at 1.5GHz. Given that Android manufacturers are all clamouring to boast about who’s got the most cores in their devices, it’d make perfect sense for the S3 to be announced as a headline-grabbing quad-core phone. If not, Samsung has officially revealed its work on the dual-core Exynos 4212, a dual-core ARM9 chipset that’s claimed to be 30% more efficient and substantially faster than the unit inside the Galaxy S2. Even that lesser option would still make the S3 a great phone. Or there’s the newer Exynos 5250, an up-to-2GHz dual-core model that supports an incredible maximum resolution of 2560×1600. Which seems designed primarily for tablets, but with phone specs increasing at such massive speed, who knows? Nothing is confirmed yet, of course, but given the Q2 2012 launch date and the fact that Samsung is already releasing test versions of an Android 4.0 update for the Galaxy S 2, the S 3 is all but guaranteed to arrive with a version of the Android 4.0 Ice Cream Sandwich release. Google has recently published the 4.0.3 code which it says should be considered the baseline of the Ice Cream Sandwich code, so expect that version to launch on the S 3 at the very least. We would also expect the Galaxy S 3 to feature a version of Samsung’s TouchWiz user interface skin layered over the top of Android as well, which will help differentiate the phone from the “vanilla” Android 4.0 as found in the Samsung-made Galaxy Nexus. Not much to go on here at the moment, but 1GB of RAM seems to be emerging as the new benchmark for comfortably running Android while maintaining solid performance, so that’s our best guess for the S 3. In terms of onboard storage, the Samsung-made Galaxy Nexus did away with the SD card storage slot, only letting users have the 16GB the phone came with. If that’s the way Samsung and Google see the future going, perhaps the S3 will bin SD card support as well. The Galaxy S2 seemed enormous with its 4.3″ screen, but since then we’ve had the even bigger 4.7″ HTC Sensation XL, the 4.65-inch Galaxy Nexus (below) and the insanely huge 5.3″ Galaxy Note. The most recent mention of Galaxy S 3 screen size came in a rather dodgy-looking Samsung presentation slide, which claimed the S3 would feature a 4.6″ screen. We wouldn’t be surprised to see the S3 feature a bigger display than that of the Galaxy Nexus, though, offering something nearer the 5-inch end of the scale – as Samsung will surely want to have something considered both biggest and best as its new 2012 Android flagship. Samsung Galaxy S3 camera All we have to go on here is more news from Samsung’s imaging development teams, which announced the 16 megapixel mobile sensor back in October. The tech spec of the S5K2P1 state it can capture 60fps HD video, while the still system can take 30 8.3megapixel shots a second, eliminating shutter lag. If that sensor makes it into the Galaxy S3, every smartphone user in the country will be blagging an upgrade on launch day.